French movie music maestro Alexandre Desplat is one of the film industry's most prolific and successful composers. Here we recommend his essential film scores. 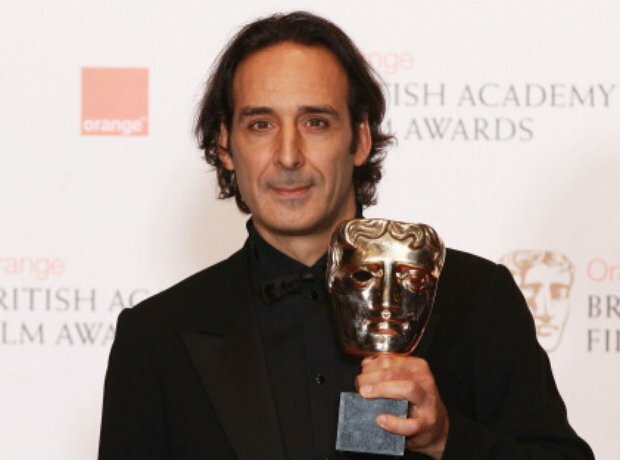 Born in 1961, Desplat dreamed of becoming a film composer from an early age and scored his first film at 25. He has since risen to Hollywood's A-list with scores for numerous hits, including his Oscar-winning 'The Grand Budapest Hotel' and ''The King's Speech' - for which he won a BAFTA. A proficient player of the piano, the trumpet and the flute, Desplat's influences include Ravel and Debussy, jazz and various South American and African artists. Although Desplat captures all sides of Alan Turing’s story in this biopic - from obsession to tragedy via brief tenderness - it’s the maths and mechanics of the code-breaking machines that inspires the most exciting music. A nominee for Best Original Score at the 2015 Oscars. Desplat’s work with director Wes Anderson is always a blast and here he delivers a quirky, unpredictable - and Oscar-winning - score full of delights; catchy tunes, comedic tics and breezy colours - zithers and balalaikas galore - that charm the ear and match Anderson’s unique and hilarious vision. No room for Desplat’s natural charm in this tough, intense picture on the hunt for Osama Bin Laden. The music sits low in the film’s mix, with muted orchestral colours, biting and bubbling beneath the surface of the drama. A clever score that adds depth and emotion to many complex scenes. It was almost inevitable that Desplat would get the call for the final Potter movies - such is his popularity in movie circles. Moving in where his great hero John Williams had once been was an honour and an intimidation which Desplat despatched with great skill, lending grace and nobility to the end of this hugely popular series. The 'speech' itself may be set to Beethoven, but Desplat’s Bafta-winning themes are surely his warmest and prettiest. They're beautifully played on the original soundtrack by the composer’s regular pianist, Dave Arch, with the gentlest of string and woodwind accompaniments. Brief but very classy. The first of Desplat’s collaborations with director Stephen Frears - which led to 'Tamara Drewe' and 'Philomena' - this score effortlessly deals with the film’s wide range of moods and is particularly effective in the more intimate moments, deftly supporting Helen Mirren’s Oscar-winning performance. Director David Fincher has been turning to the subtle sound-design music of Trent Reznor in recent films including 'The Social Network' and 'Gone Girl'. But for 'Benjamin Button' he needed a more traditional musical approach and a little sentimentality. Desplat delivered but, like the film, still made us feel satisfyingly uncomfortable. For this psychological drama on grief and loss, starring Nicole Kidman, Desplat unsettles us with a mix of traditional forms - particularly waltzes - and familiar horror movie sounds. At once startling and smooth, its use in the film is masterly, an uncomfortable accompaniment. Listen with the lights off! This is the score that made people sit up and notice a new talent, at least in Hollywood. The Desplat trademarks are already there: playful themes, insistent accompaniments, unusual orchestration and an innate understanding of screen drama and narrative. 'Griet’s Theme' captures the spirit of the movie perfectly. Another bonkers score for a Wes Anderson film, this time an animation. Squeezed snuggly between a variety of pop tunes and other film music, Desplat’s brief contribution nevertheless makes its mark and, like 'Grand Budapest Hotel', is enormous fun: it twanged, twisted and toe-tapped Desplat to his third Oscar nomination.